As a Certified Specialist in Java Web Development, you will integrate key components of Java EE to generate dynamic web pages, personalise content for users and build console and GUI applications. As a Certified Expert in Java Web Development, you have a prowess in generating dynamic Web pages, personalising content for users and building console and GUI applications. 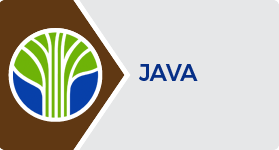 You have competencies in designing and building Web services using Java.